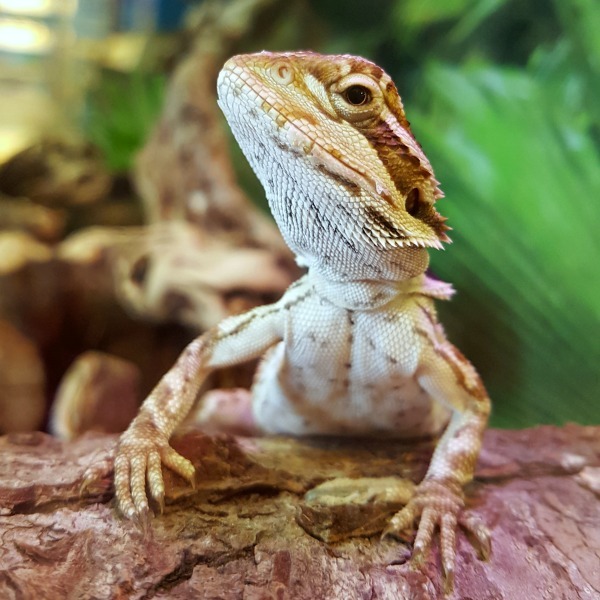 Hope Whispers: Lipstick, Lizards and Lighting up the sky. Lipstick, Lizards and Lighting up the sky. I knew it would be a fast week. With a holiday in the middle of it all, the weekend came out of nowhere! I many not have known what day it was most of the week, but does that really matter? Its summer after all. I do know that today is Friday. And the best part about Fridays is sharing a little happiness and all that good stuff. This week was full of goodness. Happiness. And Thankfulness. It wasn't perfect but pretty dang close. It's all about balance right. Balance! So what brought a smile to my face and made my heart happy this week? Catching up with old friends. 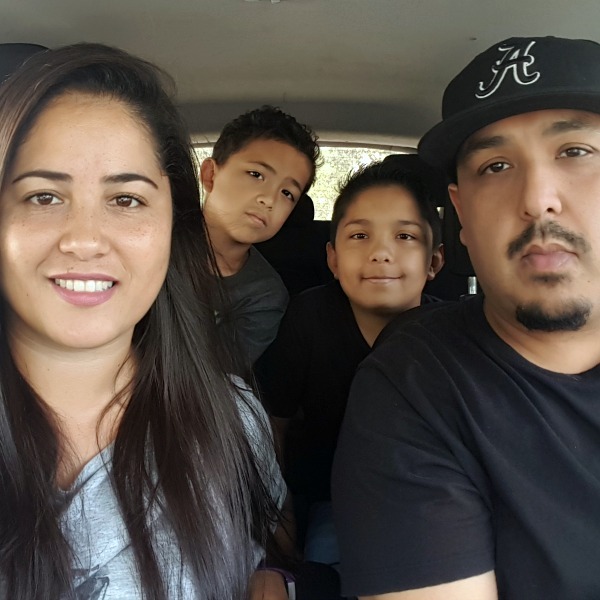 Growing up on a military base but not being a military family meant lots of goodbyes. So when my friend Sondra who just happened to move here a few years ago told me her little sister was in town, I knew we had to get together. It's been 20 years since they left the island. Then the next day, Auntie Buger (my little sister) and fiance came over. And Panda, their border collie mix. I will have to get a picture of her next time they are over. Shes all puppy and watching her trying to convince Poncho to run with her...hilarious and pitiful all in one. Eventually he grumbles and chases her for a split second. Poor old man! We spend the morning of the 4th of July running errands and then taking the boys to see the new Minions movie. It was a good laugh for sure. And the boys finally got to see what recliner seating is all about! And look I even managed to get a sorta smiley picture with all of us in it! Only a handful of these exist. I really need to work on that! You can't really tell in that first picture but yes, I am wearing lipstick. Pink lipstick at that. 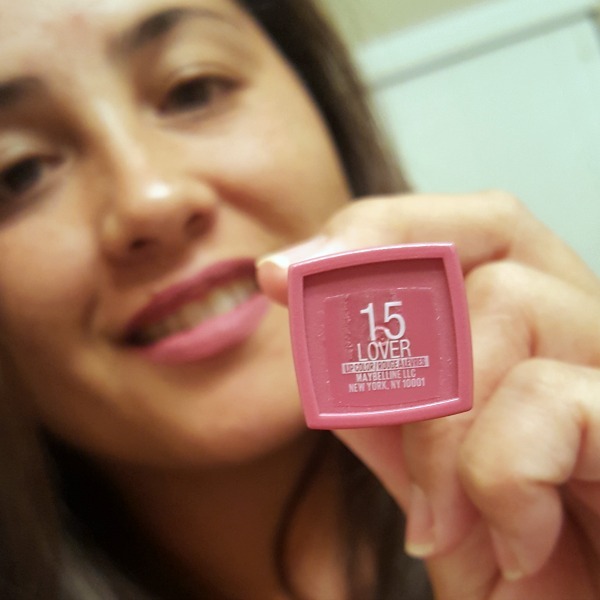 It was part of the Maybelline Matte Ink Voxbox from Influenster and was given to me to test in exchange for a review. I'm not big lip girl. It's usually all about the mascara for me. Crazy thing is, that I kinda loved it. Mostly because at the end of the day, even after I scrubbed my face, my lips were still perfectly pink. I'm not quite sure this color is it for me but it's fun. And since it stayed on, I couldn't chicken out and just wipe it off before I went out! The night of the 4th was more grilling. Grandma and Grandpa came over. And our best girls next door came over too. There was a lot of eating and then David and Anthony put on a little firework show for us. David said he wasn't going to buy fireworks this year, but went out for last minute drinks and came home with last minute fireworks! Boys! But it was nice having the family together. Three trips to Petco. Yes 3. The lights on Koopas Terrarium have gone out 3 times now. The last time, we noticed that the temp on the hot side were barely getting to where they need to be so we thought we had gotten the wrong bulb so we got a bigger one...that didn't fit. Once we got the new bulb we plugged it in only for it to go out again. I'm pretty sure its the timer we have the lights on, but David says no. But I was thankful he was willing to make a 3rd trip to the store by himself while I got things done at home. Hes not a big animal guy, but I'm thankful he handles my craziness. And keeps me from bringing home every animal I see. Like this little dude who was posing for me. And the happiness will end right here. 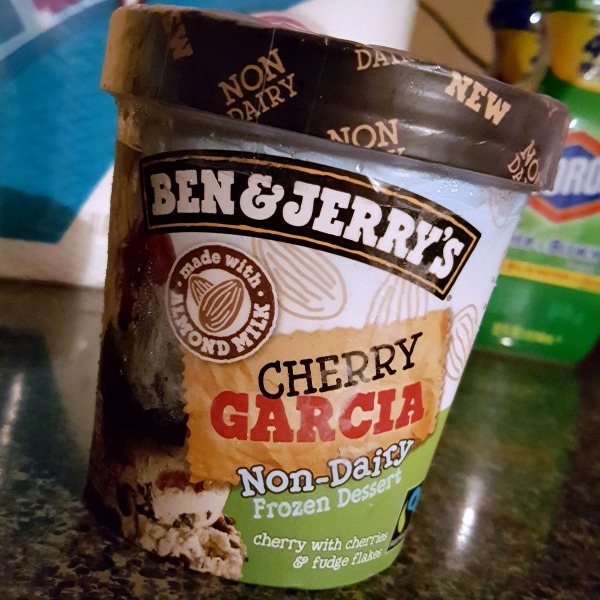 Non Dairy Ben and Jerry's for the win. We have recently switched over to mostly non dairy. A little shredded cheese here and there. And the occasional creamy dinner. The boys asked for ice cream but then remembered the no milk rule. We were crazy happy when we saw this! Also, we finally made it back to the gym yesterday. After a few days off it was so hard to get motivated so we called it a cardio day and pretty much stuck the elliptical except for a few miles on the bike. But I was out of bed and moving! You know, gotta make up for the scoop of ice cream from the night before. And now here we are. Friday. I am talking to my sister, finishing up my happiness post and listening to the boys act a mess while they are actually playing TOGETHER! Doesn't get much happier than that. It may have come down to them losing their phones, but they are having fun. Loud, rowdy and obnoxious fun. And even though I want to tell them to settle down, it didn't work the first 2 times so I am just gonna let them do their thing. Then we are going to go back to the Y and drain a little bit of this energy off. Where does all this energy come from?!? So lets hear it. What are some things that made you happy this week? What are you thankful for right now? 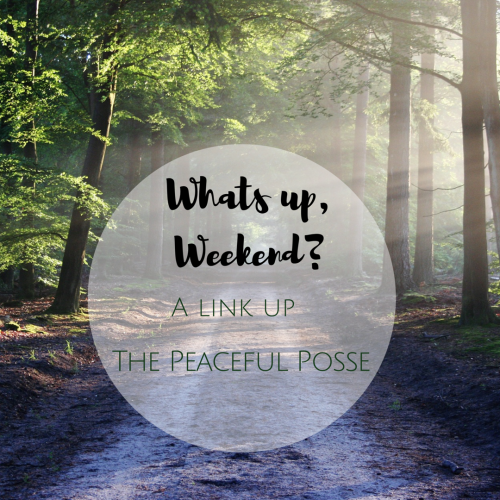 I'm linking up with a few of my favorite girls Lindsay, Charlotte and Christina for the What's up Weekend link up. Have a wonderful weekend everyone!